Do you have an undead problem that you need to solve quickly and quietly? Do you have skills with throwing knives? 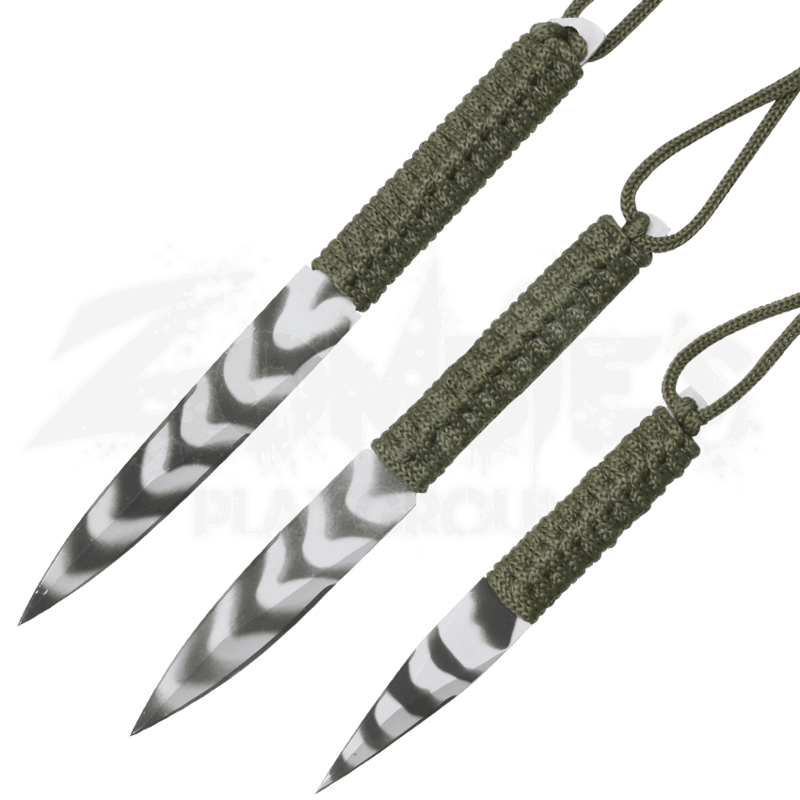 You need this Urban Camo Throwing Dart Set, which allows you to dispatch a zombie from a safe distance in total silence! 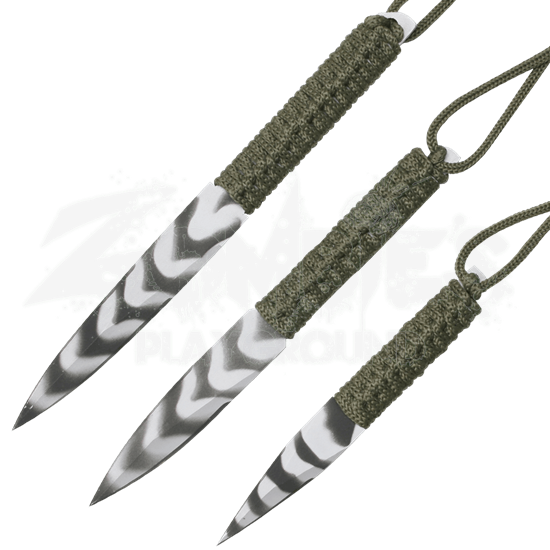 These darts have a distinctive military style, possessing an all stainless steel construction, as well as a green and white urban camouflage pattern that is emblazoned on the blade. Each of the three dart-like knives are of different lengths, which renders some more effective for some targets than for others. The handles are tied with green paracord wrapping, which makes the knives more comfortable to handle, both for throwing and for other purposes. As an added bonus, the extra paracord that dangles from the bottom of the knife makes locating your knives easier, as the green stands out more against other colors. The throwing knife set includes 3 throwing blades, as well as a green nylon sheath for storing the knives. The longest of the knives has an overall length of 9.5 inches. Do not want to get too close to those mindless zombies when you attack? Pick up this Urban Camo Throwing Dart Set and solve the problem from a distance. One thrown dart, one zombie down, and one victory in the war on the undead.